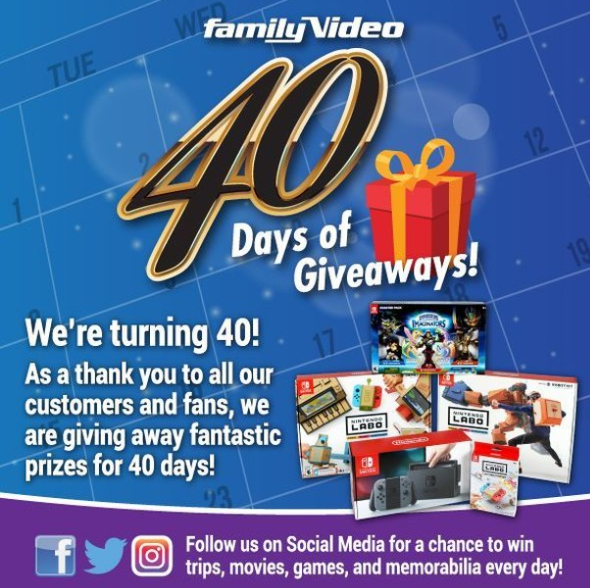 Family Video is currently in the midst of their “40 Days of Giveaways”. Since mid-Sept, they have been busy gifting their online followers with a surprise reward on a daily basis. Blue-rays, DVDs, movie memorabilia, games, a home theater system and more were given away so far. Check them out on social media to enter to win. All rights to the images belongs to Family Video. 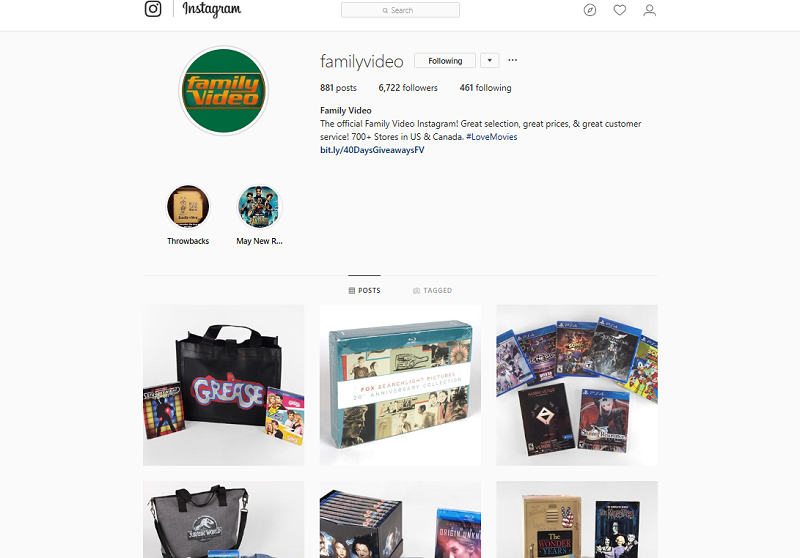 This entry was posted in Entertainment, Movies, TV and tagged Contests, family video, games, Giveaways. Bookmark the permalink.